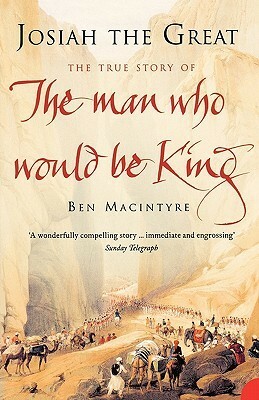 The amazing tale of a resourceful and unscrupulous early-19th-century American adventurer who forges his own kingdom in the wilds of Afghanistan. In the year 1838, a young adventurer, surrounded by his native troops and mounted on an elephant, raised the American flag on the summit of the Hindu Kush and declared himself Prince of Ghor, the heir to Alexander the Great. Josiah Harlan, the first American to set foot in Afghanistan, would become the model for Kipling’s ‘The Man Who Would be King’, but the true story of his life is stranger than fiction. A soldier, spy, doctor, naturalist and writer, Harlan set off into the wilds of Central Asia after a failed love affair in 1820. Following a brief stint as a surgeon in the East India Company’s army, he joined the court of the deposed Afghan monarch Shah Shujah, and then slipped into Kabul disguised as a Muslim priest to foment rebellion. For the next two decades he would play a pivotal role in the bloody politics of the region. Using a trove of newly discovered documents, including Harlan’s long-lost journals, Ben Macintyre has followed Harlan’s footsteps to uncover an astonishing, untold chapter in the history of the Great Game. If you enjoyed William Dalrymple’s ‘Return of a King’, ‘Josiah the Great’ should be on your reading list. If you like 19th-century derring-do, wild men in wild places, dancing girls, murderous plots, people who smoke dried dung, camels, wine laced with pearls and opium, towering eccentrics and true but almost unbelievable adventures - if you like all that kind of thing, this is the book for you.